This course will teach you the applicable standards and best strategies for delivering live and VOD video to viewers on all platforms, both with and without DRM. Along the way, you’ll learn options for producing H.264 and HEVC; the status of standards like the Common Media Application Format (CMAF), Media Source Extensions (MSE) and Encrypted Media Extensions (EME); and how and when to utilize them. You’ll learn the technical requirements for delivering to all key platforms and the best practices for making it happen. 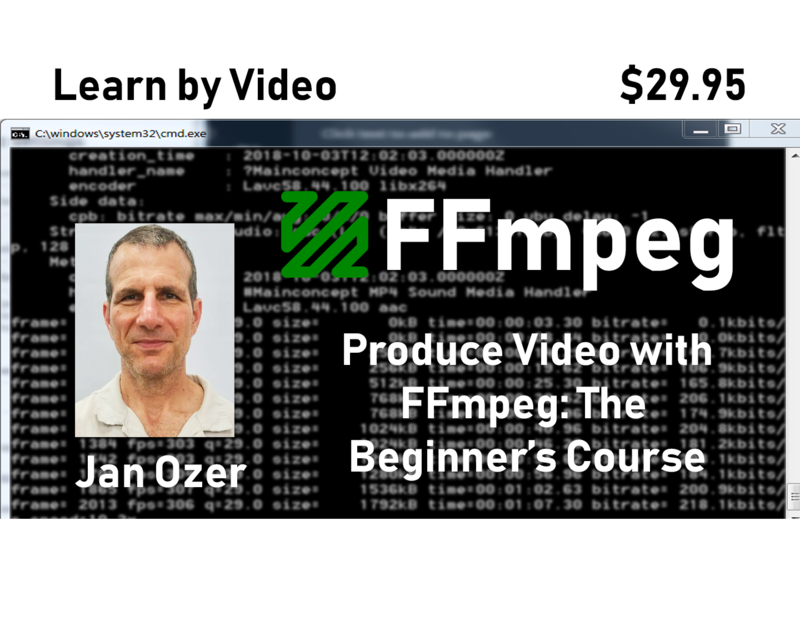 You will learn to use FFmpeg, Bento4, and Apple’s HLS tools to produce optimized videos for delivery to HLS and DASH clients. Each lesson covers theory and practice so you can choose the best option and use the optimal command syntax.